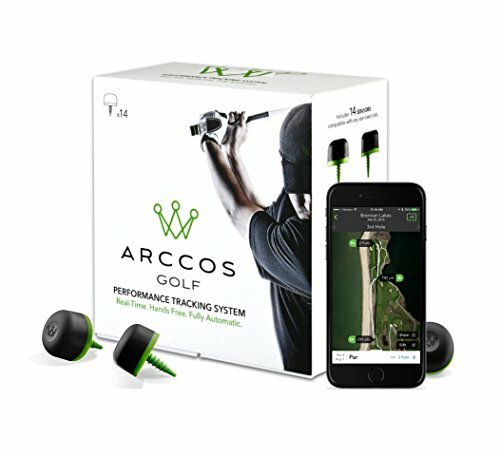 Arccos Golf is the first ever, fully automatic, real-time GPS AND golf stat tracking system. Not only does Arccos record every aspect of your game, with our proprietary Tour Analytics platform, Arccos analyzes all of your stats, uncovering your strengths and trends, and giving you game-changing knowledge so you can make better decisions on the course. Arccos stats are available instantly on your iPhone as you play or after your round on any computer, anytime, anywhere. Stats tracked: GPS Distances to Front, Center and Back of Green Club Distances and Averages Fairways Hit or Missed Greens in Regulations Putting Statistics Up & Downs Sand Saves Tour Analytics Platform Arccos works seamlessly. Simply attach the 14 sensors to the grip end of your club and pair just once to your iPhone. Then play as you normally do and watch as Arccos does all the work. No additional devices needed and no need to download additional software. Arccos is an open innovation partner of Callaway Golf. Just pair, play, review and improve. It's that simple. Stats are instantly available on your smartphone. Arccos is compatible with iOS 8.0 and above, and Android Lollipop, version 5.0 and newer devices.